A strong desire to create and explore. That’s what drives me. I’ve been fortunate to make creativity my life and my work. I’m a lifelong artist, learner and maker, fascinated by art and design, craftsmanship and technology and most of all– the power of ideas. I love the challenge of how to put it all of this together in a way that can seen, felt and experienced. I’m inspired by an abstract modernist aesthetic and the materials and tools available to me. 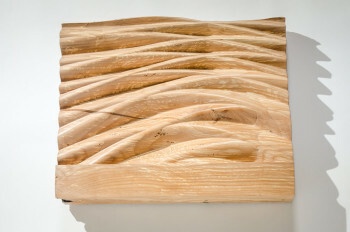 My current sculptural work contrasts precise curvilinear and geometric elements with the organic beauty of wood – material that is unique in it’s patterns, shapes and imperfections – often spalted or filled with worm holes, each with grain patterns uniquely determined by the life of the tree. In public art, I’m using materials that are formable: UHPC concrete, molded fiberglass. I’m on a search for the hidden geometry inside each piece. Ideas lead to precise drawings. 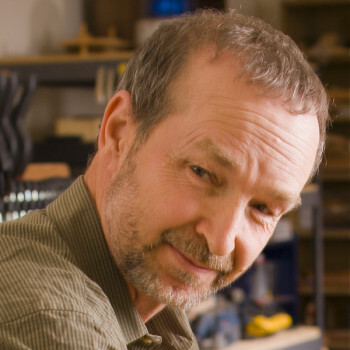 I use hand and power tools to carve and transform the material into a new form. The results are panels, wall art, vessels and free standing sculpture sized from 10 inches to over 10 feet. Like the trees the wood comes from, every piece is unique. Each work is shaped, sculpted, textured, and smoothed with a tactile and sensuous surface that’s warm to the touch. Several of the pieces shown on this site are available for purchase or exhibition. Contact me for more information. Some of the pieces shown are maquettes — an artist scale model. They were created and designed with the intention of building large pieces and in some case much larger pieces. For more information or special commissions for collectors and corporate-scaled pieces contact me . Some of the artworks on this site are available for exhibition or purchase. Inquiries welcome.